They do some really trendy things very cheaply and I ordered a few things the other day. When I was looking, I saw that they had chiffon skirts almost exactly the same as the American Apparel's but for almost a quarter of the price! 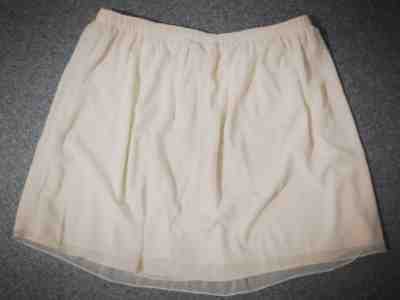 I ordered one in a cream colour and another in a pleated style, which AA don't do, in black. The quality is great, they probably aren't quite as good as AA's but so far I am very pleased. They are perfect for Spring and Summer and have a very nice feel to them, not at all cheap. Overall I am very happy with this purchase and I think I will be buying some more of those skirts!